The 2015 Club Race Series was made up of 10 races, comprising of three 5k park runs, three 10k’s, three 10 mile races and finally, the option to select one of three Half Marathons. Race routes were a mixture of road and off-road with some fantastic start/finish venues, such as Mel’s Milers 10k from the quadrangle of Christ’s Hospital school, Horsham. A total of 33 members competed through the year with the highest turnout of 19 being for the East Grinstead 10k, which was also the Club Championship Race. Even though the club has a higher male to female membership ratio, the club series saw more ladies (19) competing than men (14). Four members – Pete Gibson, Wendy Wilson, Frances Gibson and Jane McTaggart – all ran at least 7 of the 10 races and scored over 100 points each. Whatever the weather, taking part and racing with fellow members was great fun! 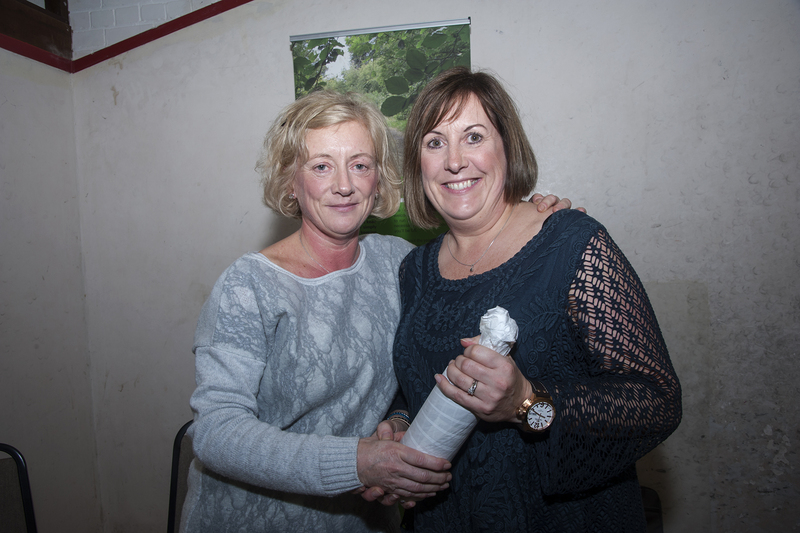 Well done to everyone who participated and congratulations to the series winners, Wendy Wilson (pictured receiving her prize from Frances at the AGM) and Pete Gibson.